This section describes how to obtain the Web Profile ID for a website within the Google Analytics environment. The Web Profile ID is required to configure the Google Analytics Adapter. 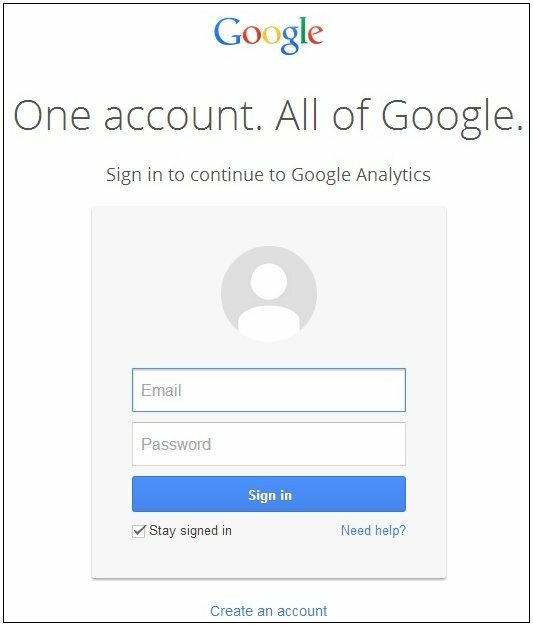 If you are already signed in to Google Analytics, then the Google Analytics Home page opens, as shown in the following image. Note that the Access Google Analytics link is provided in the upper-right corner of the page. 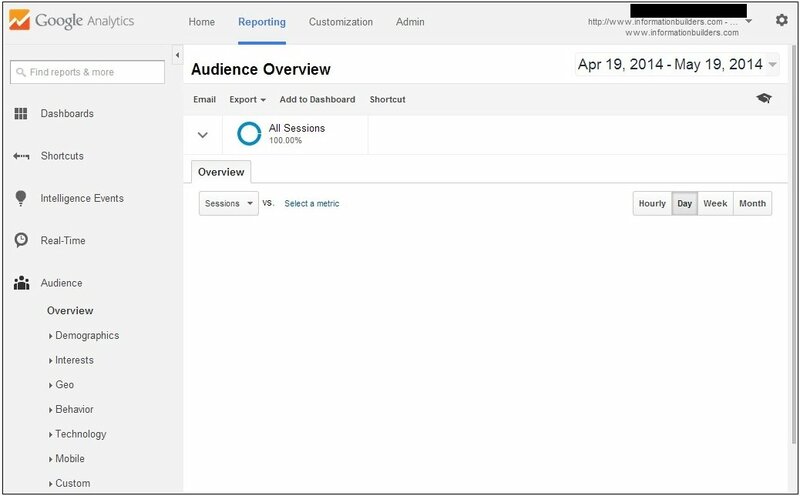 If you are not already signed in to Google Analytics, then the Google Analytics Home page opens, as shown in the following image. Note that the Sign in or create an account links are provided in the upper-right corner of the page. If you are already signed in to Google Analytics, then click the Access Google Analytics link in the upper-right corner of the page. The Google Analytics page, which lists the configured websites opens, as shown in the following image. If you are not already signed in to Google Analytics, then click the Sign in link in the upper-right corner of the page. A Sign in to Google Analytics page opens, as shown in the following image. Click the link to the website that will be used during the configuration of the Google Analytics Adapter. The Google Analytics Reporting page for the selected website opens, as shown in the following image. 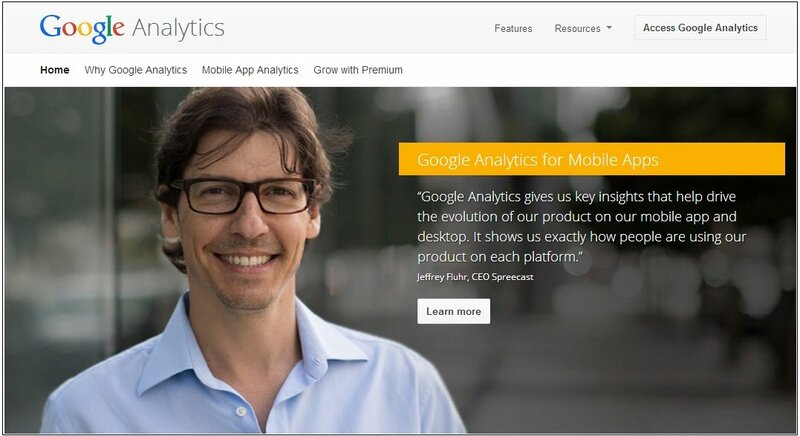 The Google Analytics Admin page for the selected website opens, as shown in the following image. Click the View Settings link, which is located in the View column. 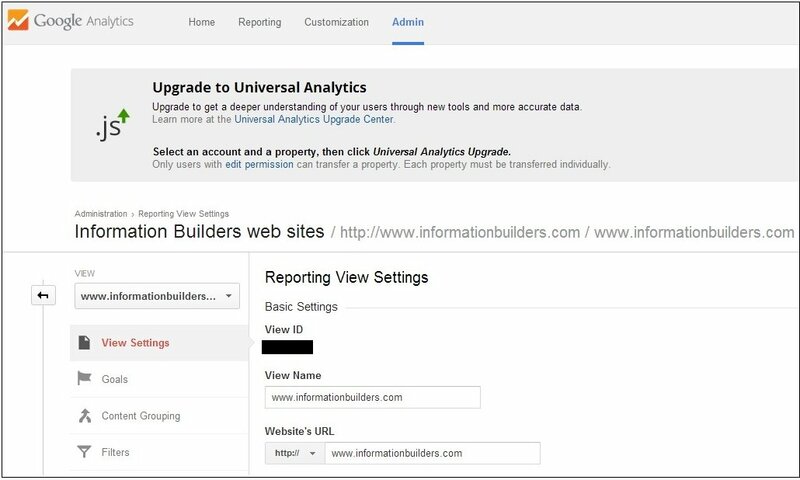 The Google Analytics Reporting View Settings page for the selected website opens, as shown in the following image. 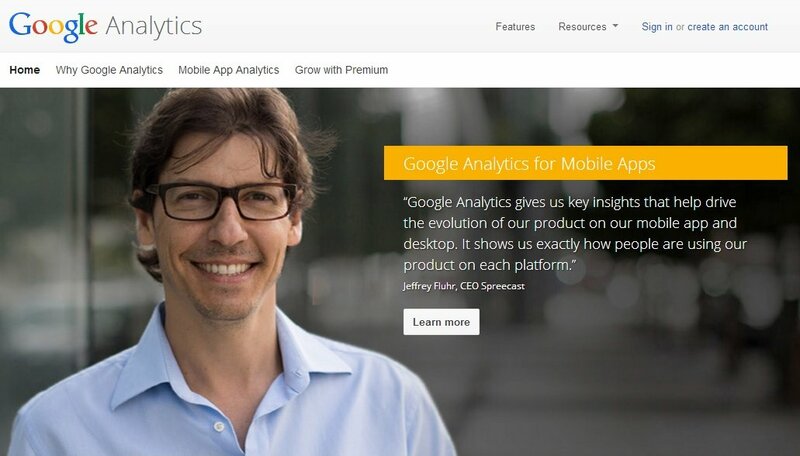 The View ID value is required to configure the Google Analytics Adapter.